“They began to invent humourless, glum jokes of their own and disastrous rumours about the destruction awaiting them at Bologna. Yossarian sidled up drunkenly to Colonel Korn at the officers’ club one night to kid with him about the new Lepage gun that the Germans had moved in. ‘What Lepage gun?’ Colonle Korn inquired with curiousity. 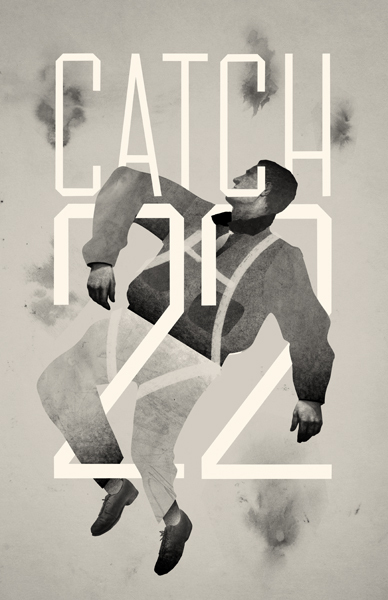 Colonel Korn jerked his elbow free from Yossarian’s clutching fingers in startled affront. ‘Let go of me, you idiot!’ he cried out furiously, glaring with vindictive approval as Nately leaped upon Yossarian’s back and pulled him away. Yossarian wanted another drink and promised to leave quietly if Nately bought him one. Then he made Nately bring him two more. When Nately finally coaxed him to the door, Captain Black came stomping in from outside, banging his sloshing shoes down hard on the wood floor and spilling water from his eaves like a high roof.